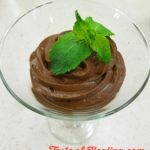 A blender or foods processor, a couple of ripe avocados and a few key ingredients is all you need to whip up the most amazingly rich and divine dessert; and guess what, the avocados taste is quite undetectable!Rich in heart healthy monounsaturated fats, the avocados provide a silky smooth base for the mousse. For the choice of chocolate, I prefer to go with organic Dutch processed cocoa, rich in flavor and color which is Fair Trade Certified. The certification of the product ensures ethical treatment of the growers and workers who produce it as well as social premiums to help their communities. For this recipe I used coconut milk as my base, really any nut milk or even real cream will work really well. I’ll let you in on a little secret…. place the mousse in the freezer for an hour, and you have a divine frozen treat! You’d never guess the secret ingredient is avocados! 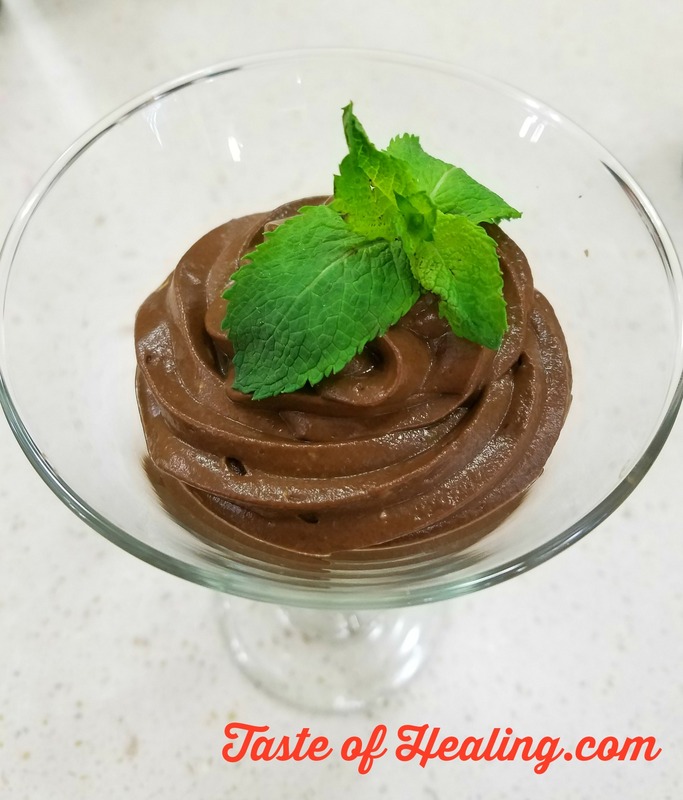 Rich in healthy fats and minerals, avocados give this delectable mousse a silky texture with the antioxidant power of cinnamon, paprika & nutmeg. Place all the ingredients in a blender or food processor, and blend until smooth. Chill until ready to serve, spoon or pipe into individual cups.